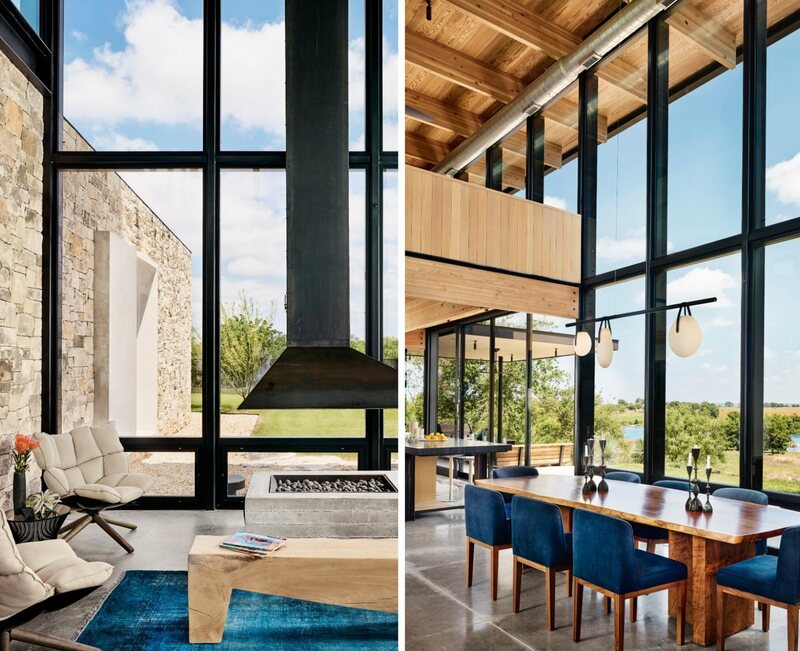 When tasked with creating a family home in Austin, local firm, Michael Hsu Office of Architecture, decided to go with a blend of charred wood, locally-sourced stone and glass panels. 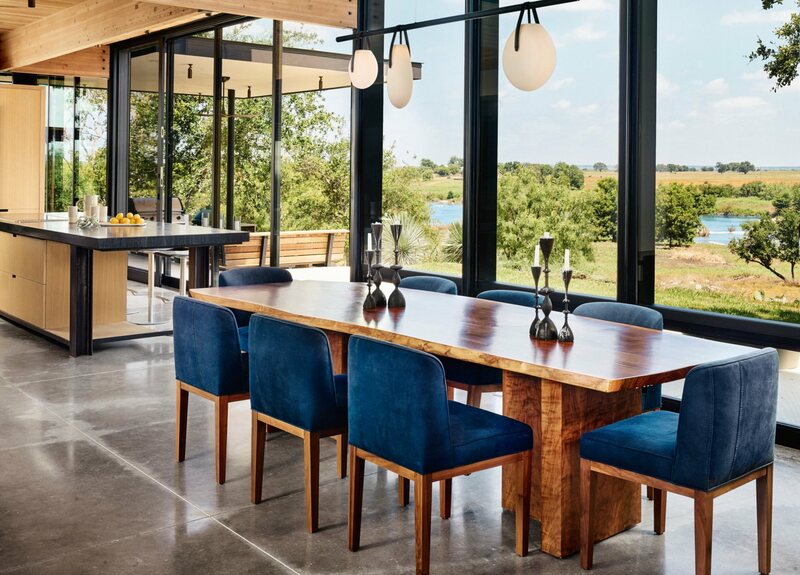 The result is the stunning Llano retreat, a design that was strategically built to embrace the natural landscape, while providing a contemporary, but cozy living space. 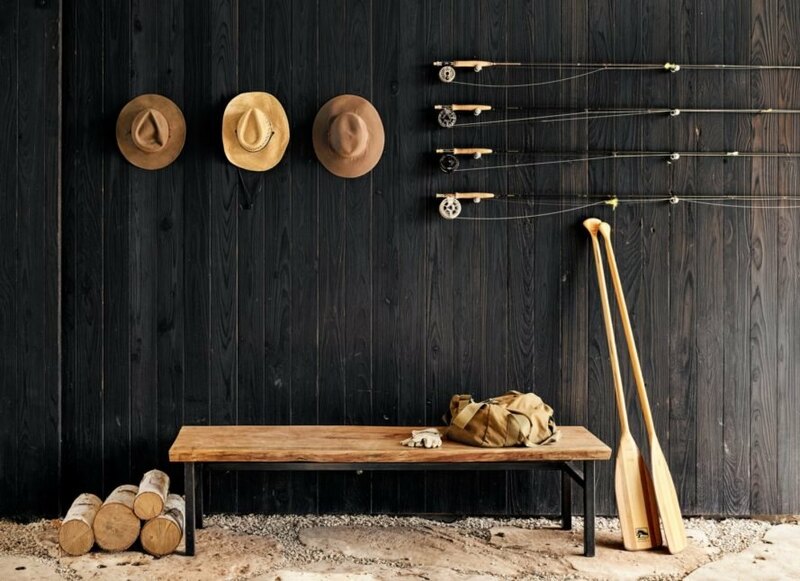 Situated along the Llano River in central Texas, the building site was used for years by the family as a camping and fishing spot for the weekends. After years of spending the warm Texas nights under a pole structure with metal roof, the family finally decided to put up a proper shelter, in the form of a beautiful family home that was specifically designed to take advantage of the idyllic natural setting. 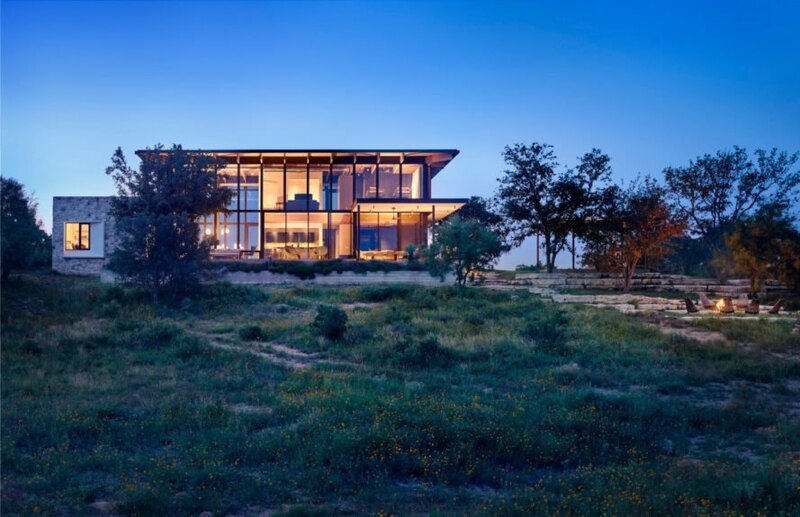 “After years of getting to know the ranch land, the family chose a site for their home at the top of a hill overlooking the river, only accessible through a low-water crossing,” said the team. 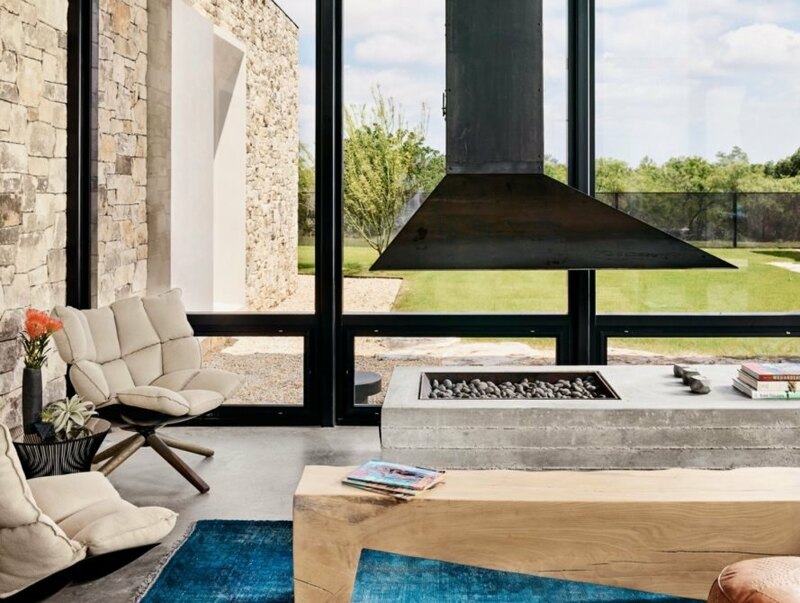 “The design is a result of the knowledge of the landscape and the desire to retain the connection to nature.” The U-shaped layout of the home allowed the architects to bring the outdoors into the living space via a front courtyard. In the back of the home, the natural landscape consisting of trees, shrubs and wildflowers was left in its natural state. 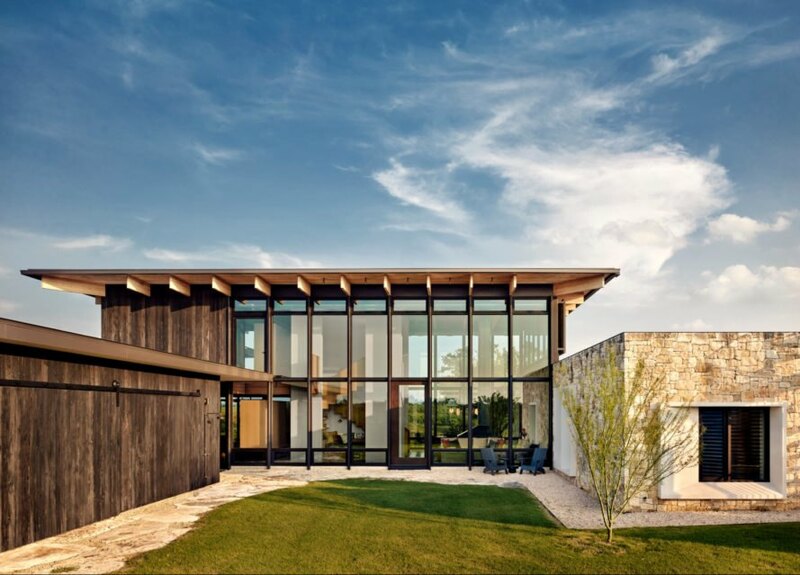 The home’s exterior is clad in locally-sourced limestone and wood charred in the Japanese shou sugi ban style. Large glass panels not only further connect the interior with the exterior, but also flood the home with natural light. Large roof overhangs shade the windows during the hot summer months, but allow sunlight to enter the home during the colder months, reducing the need for artificial heating. The home’s doors and operable windows were strategically placed to enable air circulation. Inside the home, the interior design, led by the team from Laura Roberts Design, was focused on providing the family with a rustic yet cozy atmosphere. 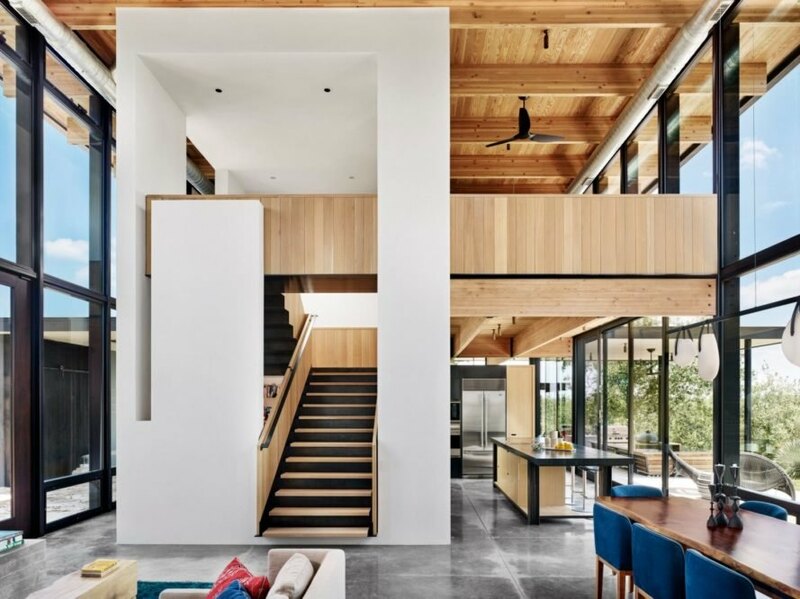 Double-height ceilings were clad in warm Douglas Fir and crossed with expose beams, giving the home a modern cabin feel. Floor-to-ceiling glass panels enable the homeowners to comfortably enjoy the stunning views from virtually any corner of the home. From the large kitchen, sliding glass doors open up to an outdoor space.